Things like this make me feel like everything is going to be OK—beautiful, thoughtful public space for the city alongside an underutilized natural resource. 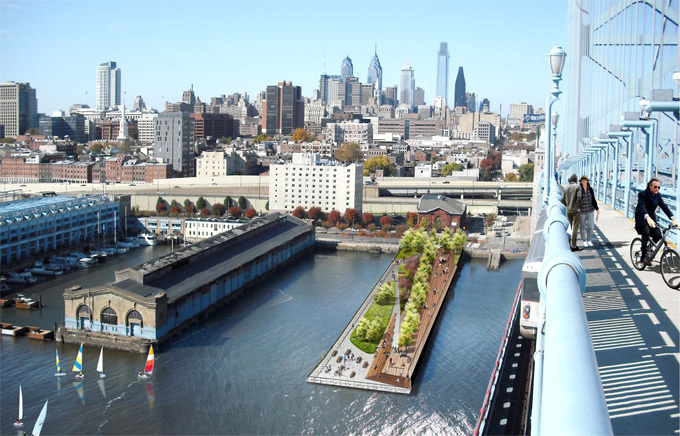 Click through to uwishunu for more details on the Race Street Pier and some spectacular renderings. On Tuesday, Philly Brownstoner had a shot of some initial construction. Via Philebrity, who win points for their headline. As usual.